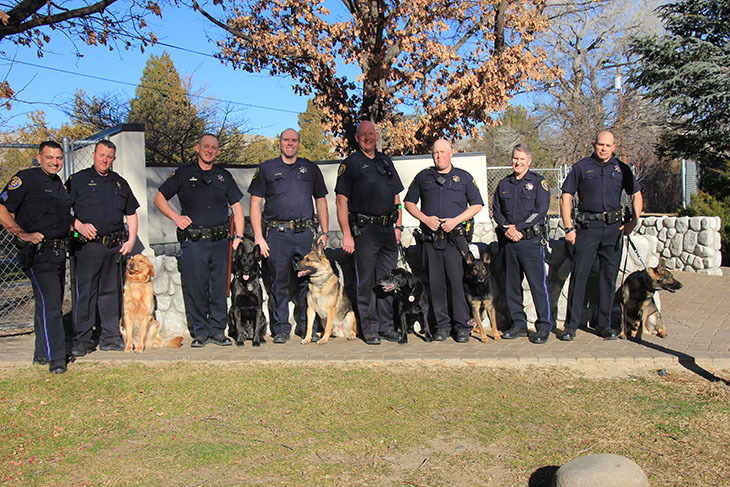 The Reno Police Department’s K-9 Unit has been serving our community for over 50 years. Currently, the department utilizes German Shepherds and Labrador Retrievers. A special bond exists between our police dogs and handlers. All of the police dogs go home with their handlers each day and are a large part of their families. While at home, the dogs spend time relaxing and playing. The police canines are utilized for a variety of tasks. They have a keen sense of smell, which makes them a superior locating tool. They can search confined spaces and large open areas, locate items of evidentiary value, and find illicit drugs and explosives material. They are also used to track lost people such as children and Alzheimer’s patients. The German Shepherds are cross trained to serve in both a patrol function as well as in drug detection. The Labrador Retriever is trained in explosive detection. The police canines and handlers train in a variety of locations throughout the Truckee Meadows. Many of these locations are offered to the K-9 Unit by generous business owners in our community. The police dogs and handlers are put through rigorous training exercises and must pass demanding certification tests annually. The health and wellbeing of the police dogs will always remain the top priority for the Reno Police Department. 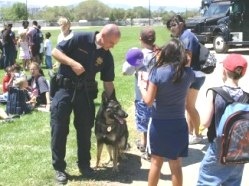 The K-9 Unit regularly assists other units within the Reno Police Department. They are also called to assist many allied agencies at the local, state, and federal levels within the states of Nevada and California. We encourage you to come meet our police dogs at one of the many public demonstrations or public safety fairs in which they participate annually. Please feel free to call us or Follow us on Facebook for more information regarding community activities. We would love to see you! The K-9 Unit relies heavily on community donations. 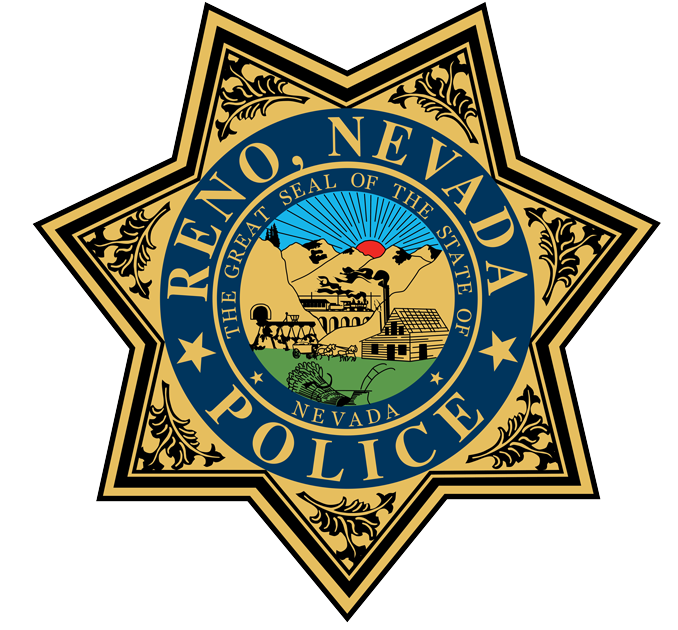 Your online donations supporting the K-9 Unit are accepted through the Reno Police Foundation PayPal account. Click on the donate button below and be sure to type K-9 in the space provided below the donation amount titled,"Write a Note (Optional)." You will receive a charitable gift acknowledgement for your tax records within a few days. Thank you very much!